Pennswood Village is a retirement community located in Middletown Township, Bucks County, Pennsylvania. As part of the facility’s planned expansion, Pennswood Village entered into a private-public agreement with the township, which required the improvement of the existing stormwater management system. 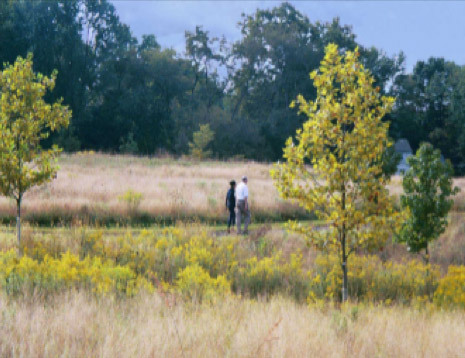 Although the township’s request could have been satisfied with a conventional detention basin, Pennswood Village preferred a design that would be highly functional, attractive and natural in appearance, and that would include walking paths. To meet these objectives, the stormwater management facility was designed to mimic the functional properties and appearance of a riparian corridor floodplain. 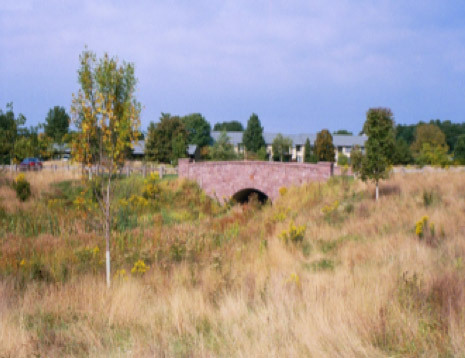 The Pennswood Village design integrated a number of different best management practices (BMPs) including a sedimentation basin, created treatment wetland, small wet pond, vegetated swales, and infiltration areas. These stormwater BMPs were designed to work in series to attenuate peak flows, promote groundwater recharge, and passively remove pollutants through a combination of filtering, settling, and biological treatment mechanisms. To facilitate the development of several distinct natural plant communities, the plan included planting a variety of riparian and wetland plant species. This innovative project exceeds the township’s stormwater management requirements, provides an attractive recreation area for Pennswood Village, and serves as a model for engineering and landscape architecture and design students from local colleges and universities including Rutgers University, the University of Pennsylvania, and Delaware Valley College. The project supports a highly diverse native plant community that in turn attracts an abundance of birds and butterflies. This project has received three awards for its innovative stormwater management design and natural aesthetic outcome. This project also is listed in the Bucks County Planning Commission’s document entitled “Bucks County Innovative Stormwater Management BMPs”. © New Jersey Future. All rights reserved. 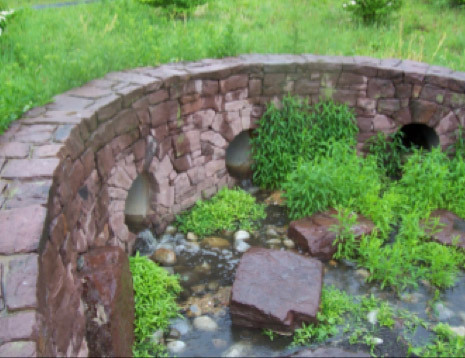 New Jersey Future’s Green Infrastructure Municipal Toolkit provides municipal leaders with information and resources to help understand, plan for, implement, and sustain/maintain green stormwater infrastructure. Guidance and resources reflect accepted best practices within New Jersey’s regulatory landscape. However, each municipality is different, and should consult with its attorney, planner and engineer when considering updates to municipal plans, ordinances and practices. New Jersey Future gratefully acknowledges the William Penn Foundation for its generous financial support, which made this project possible. On 12/3/18, NJDEP announced it is proposing significant changes to the state’s stormwater management rules (NJAC 7:8), which will replace the current requirement that major developments incorporate non-structural stormwater management strategies to the “maximum extent practicable” to meet stormwater management standards for water quality, recharge and volume control, with a requirement that green infrastructure must be utilized to meet these standards.